I just devoured the book “Deliberate Simplicity” where Dave Browning lays out the case that in ministry, “less is more, and more is better.” There are a lot of good things that we can do as college ministries, but having less complexity and radically focusing on the best things, we can multiply faster and reach more people. Bigger groups are not the goal; sending more disciples is the goal. Don’t get me wrong, large groups are good as long as they are serving the ultimate goal of reaching, training and sending more laborers from the harvest to the harvest. Browning argues, “We want to reach an unlimited amount of people (more people than we could ever put into one facility), but we feel the best way to do this is to be in an unlimited number of places” (142). If making more disciples is the ultimate goal, then you and I need to eliminate the programs and energy that are not contributing to that aim. What program or activity might your ministry need to eliminate in order to radically focus on the mission? One barrier to this radical focus is undue attention on excellence. Excellence is a good thing, but in some ministries it can become an idol. Browning writes, “Sometimes an emphasis on excellence is just a product of unhealthy perfectionism” (57). Sloppy events don’t contribute to the discipleship process either. Rick Warren, author of the Purpose Driven Life, advocates what he calls the “good enough” principle. Our events have to be good enough to attract and engage students. But as college ministers our primary job is not to throw events; it is to disciple people. Browning was asked by one of his members, “Isn’t the church for those of us who are believers?” His answer summarized what I believe to be a healthy view of church and college ministry, “No, the church is not for us, it is us, but it is not for us. We are here for the lost” (65). What do you see as the purpose of your collegiate ministry? Most of you will agree that our purpose is to make disciples of all nations, but Browning says, “without intentionality and deliberate effort, we will find ourselves focused on ourselves” (75). Radical focus is impossible with a crystal clear vision of God’s mission. Dave Browning and his friend Paul were talking about why they think God was blessing their efforts. Here’s their conclusion, “When the arrows are pointed out, it aligns itself with the heart of God, and he is pleased to bless that” (176). When our ministries are captivated by the reality of the gospel, the brevity of this life, and the length eternity, it will move us to be radically focused on reaching the lost. Browning writes, “Hell is hot, and forever is a long, long time. We have a responsibility to reach as many people as we possibly can, as quickly as we possibly can” (151). Radical focus allows us to reach more people in less time. One of the great things about college ministry is that students who come to Christ are in such a strategic stage of life where they can quickly turn around and share their newfound faith with others. Also, I’ve noticed that students who get passionate about Christ can experience rapid spiritual growth. Instead of just focusing on growing your group large (which is good), focus on growing your students, (which is better). The mission is too huge and urgent to just focus on adding people to your group; it’s a much more efficient use of your time to multiply disciples and ministries! Browning says, “We are NOT in the church growth [or college ministry growth] business. We are not in the church planting business. We are not in the multi-site business. We are in the leader deployment business” (192). You may agree that raising up leaders and making disciples is the priority, but is that priority reflected in your ministry schedule? What might you need to stop doing or say no to in order to radically focus on Christ’s mission? 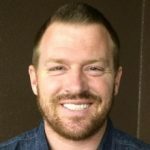 David Worcester is the Lead Pastor Compass Church in the San Diego State area. In addition to leading his church he blogs and speaks about college ministry, gospel appointments, and evangelism. David is married to Jessica Worcester whom he fell in love with while doing college ministry together and they have a two sons, Samuel and Joshua. David graduated from from the University of Oklahoma (OU) with a degree in Film & Video Studies and received a Masters in Theological Studies from Gateway Seminary. He enjoys talking ministry with his twin brother Paul Worcester, father John Worcester and two other brothers doing collegiate planting in a closed country.